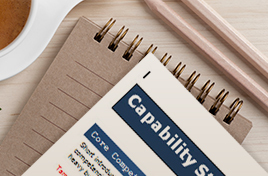 What Are the Different Types of Capability Statements? 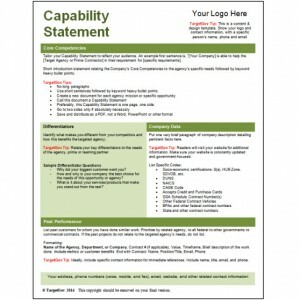 Contractors working with the Federal Government are often asked, “can you send me your Capability Statement?” in some form or another. It happens when you’re responding to a Sources Sought Notice, meeting with an agency representative or just attending an event with a strong Federal presence. But do they always mean the same document? How many different types of Capability Statements are there and how can I know which ones to use in specific situations? Your site is very insightful. Needed assistance with revitalizing a Capabilities Statement for a CPA Firm.